Price: 3914 €. Price is detailed as follows: Van Eyck Fred Morgan recorder (3060 €) plus customs duty into Europe (709 €) plus postage and insurance costs from Australia to Europe (145 €) [the instrument is already in Europe]. Current state: The instrument by Fred Morgan is made of maple and never been revoiced so has the original Morgan voicing. It is pitched at A = 466 Hz. It was made in the early 1980s and has been played more then than in recent years. 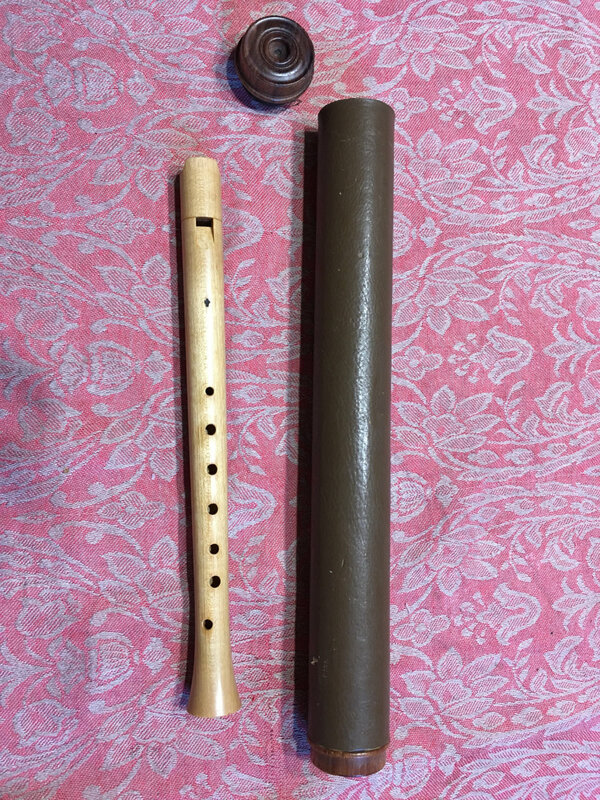 The instrument is presented in a leather-covered tube with wooden ends turned by Fred himself as an extra touch.